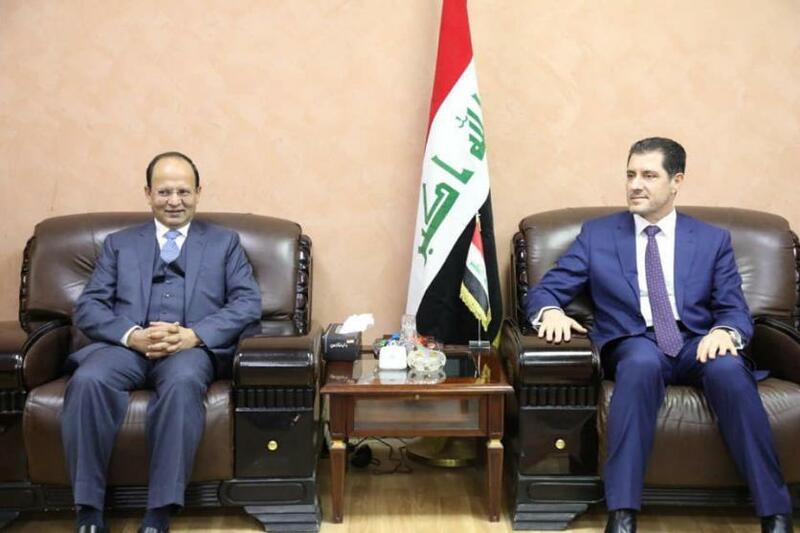 The Minister of Planning, Dr. Nouri Sabah al-Dulaimi, received on Monday the Pakistani Ambassador to Iraq, Mr. Sajjad Bilal. During the meeting, they discussed joint relations and means of strengthening them to serve the interests of the two countries. to the importance of restructuring the Iraqi- , And benefit from the Pakistani expertise in the development of Iraqi capabilities, and increase scholarships, and facilitate trade procedures. The Pakistani ambassador praised the efforts of Iraq in the face of global terrorism, stressing his government's keenness to provide various types of support to the Iraqi government, and the readiness of Pakistani specialized companies to contribute to reconstruction operations.